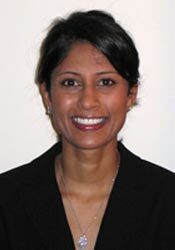 Dr. Cribbs completed her undergraduate and medical school education at Boston University, obtaining her MD in 2002. She completed her fellowship training at Emory University in 2005. She has also obtained a Masters of Science in Clinical Research (MSCR) degree from Emory's Laney Graduate School. In 2009, she was recruited to stay at Emory University on faculty as Assistant Professor of Medicine. She has served in a number of leadership positions since joining the faculty including Medical Director of the Pulmonary Clinic at Grady Memorial Hospital, and she is currently Assistant Program Director of the Pulmonary & Critical Care Fellowship Program and Director of Home Oxygen Respiratory Program at the Atlanta VA Hospital. Dr. Cribbs is also involved with the Pulmonary & Critical Care Fellowship Program. Dr. Cribbs' research is focused on studying the mechanisms by which human immunodeficiency virus type 1 (HIV) affects lung immunity rendering individuals susceptible to lung infections. Dr. Cribbs was elected to the Southern Society for Clinical Investigation in 2015 and presently serves on Council. She is also a member of the Mentoring and Southern Regional Meeting Committees.